Human looked at him, puzzled. When Ender explains the human life cycle to Human, the piggy, he makes it clear that humans can’t enter the piggy’s so-called “third life” (becoming a tree after death). We’re guessing Ender never heard of Bios Urn. 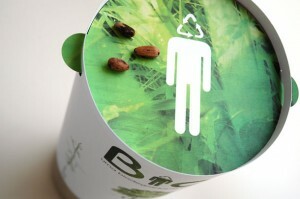 Bios Urn, designed by Gerard Moline in 1999, is a biodegradable urn containing coconut shell, compact peat, and cellulose that turns human remains into a tree. After ashes are inserted into the urn, the urn is planted with a seed that eventually germinates into a tree. 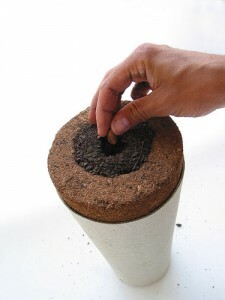 Users have the option of changing out the tree seed for another type of plant seed, but the overall idea is the same. Cemetery space is saved and humans are “reborn” into a new life. Although, to be honest, we doubt use of this product will turn anyone into a sentient tree.